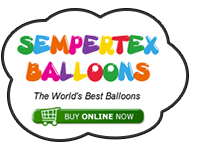 …Join us for the biggest House Party the Balloon Industry has ever seen! If you are a decorator, shop owner, entertainer, an old hand or a newcomer there will be something for everyone at The Qualatex Event. The ALL INCLUSIVE PACKAGE includes three days of tuition, 2 nights bed and breakfast accommodation, lunch, refreshments and dinner for 2 days, 2 fabulous parties, live entertainment and inspiration beyond your wildest dreams! Book before 30 June 2011 for the incredible price per person of £360 plus Vat (Based on 2 people sharing a standard room in Heythrop House). Fair point, Mr W, but I guess you can't please all of the people all of the time... Generally, hotel accommodation is cheaper at the weekends than during the week, so I'm thinking the cost may have been prohibitive if it was held during the week. Either way, this sounds fantastic and many thanks to Pioneer/Qualatex for having a UK/European version of the Dallas event -- I'll be there, guaranteed! I'm not sure if you fully understand the benefit of attending these events. Ok you miss out on some paid work. However the benefits will enhance your business many times what you would have earnt. If you enjoy the Care & Share days just think of three intensive days meeting people from around the world, fantastic instructors on a wide range of balloon topics, balloon shows, the jam room and much much more. And its tax deductable! Its inspiring, educational, life-affirming and an utter joy. And this year its near Oxford, which means there is even less of excuse not to come and play! Hell I want to go! See what I can do about making it happen. Its the one weekend in 2011, that we cant go!!! I agree with whats being said 100% and Believe me any other weekend in the year I would be there. 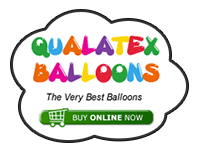 I have a husband with a BIG birthday on 6th November and the last thing he would expect for it is a trip to a balloon convention!!! Now there's an idea!!! He would never think of it..... No No No cant think that way, have to be nice!!! Have a great time there those that go, you wont regret a minute or a £1. Looking at this from another angle. I am guessing they are having it at the weekend so they can get more people. Will those people be the amateurs/part timer rather than the professionals? If this was really aimed at the pro then it would be in the week. Very early I know but any idea when Qualatex might release info on who will be doing what in Oxford? Looks like Qualatex have updated the web pages for this event - theres now booking information and a list of instructors. Free t shirt for the first 100 people to book and also the chance of getting your registration free!. The booking section also has the option for booking single days although it says this is limited - if your thinking of going for just one of the days then it may be worth doing this asap. I gave in to temptation and booked it now. All paid for and really looking forward to this event. (I wonder if there was something subliminal somewhere...) :?